Our Master Portfolio Member, Ashish Kacholia is continuing his shopping in value investing ideas. In the latest news, he is going to own 4.2 percent or 2,21,240 shares of Acrysil India, a company which manufactures and sells kitchen sinks/centers. According to the latest disclosure by the company to stock exchanges, company is going to issue 5,30,976 equity shares to Ashish Kacholia, Varun Dega and Bengal Finance and Investment Company on preferential basis at a price of Rs. 572. 2,21,240 shares goes to Ashish Kacholia, 88,496 shares are bagged by Varun Dega and the rest goes to Bengal Finance and Investment Company. Acrysil Limited was incorporated in 1987 and is headquartered in Bhavnagar, Gujarat, India. Acrysil Ltd manufactures and sells kitchen sinks/centers (installed capacity of manufacturing 2,75,000 sinks per annum). It sells granite sinks, stainless steel sinks, and Vetro Inox sinks, as well as faucets and food waste disposers. The company exports its products to approximately 30 countries, including the United States, France, the United Kingdom, Greece as well as various European markets, Far East, Gulf countries. The company started manufacturing granite sinks through a technical collaboration with Schock & Co of Germany (it owns 10.15% stake in Acrysil), which is a leading decorative mouldings company in the world. The company has been predominantly an exporter with ~78% of its revenues coming from exports. But now the management has started eyeing the domestic markets. Acrysil has also entered into manufacturing of stainless steel kitchen sinks to cater to the domestic market, through its subsidiary Acrysil Steel Private Limited. The Company markets its products under CARYSIL brand. The Company is also an original equipment manufacturer (OEM) for brands worldwide. It has obtained the ISO 9001:2000, ISO 14001: 2004 certification. Why Ashish Kacholia is Interested in Acrysil Limited? 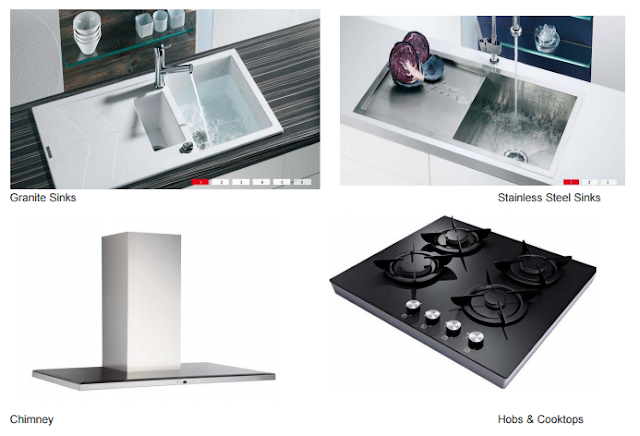 Acrysil is only company in Asia - and one of just a few companies worldwide – manufacturing quartz kitchen sinks to global standards of quality, durability and visual appeal. It has no competition in its class in India. It continues efforts to enhance the value of its products through innovative R&D, and has developed more than 20 models to cater to various segments and markets. It has increased annual production capacity of quartz sinks to 275,000 units, and has also set up own manufacturing facilities for high quality stainless steel sinks. Tie-up with world leader in Kitchen sinks: Acrysil started manufacturing granite sinks through a technical collaboration with Schock & Co of Germany (it owns 10.15% stake in Acrysil), which is a leading decorative mouldings company in the world. Acrysil is the only company in Asia producing Quartz composite sink sinks and only 1 among 5 globally at Indian costs. Its prices are most competitive. In our earlier post,we mentioned the story of Lokesh Machines. Ashish Kacholia entered the stock at Rs. 50, similar to Acrysil Limited - through preferential allotment 3 months back. The stock has doubled the value as of now. Lets wait and see if the same magic will work in Acrysil as well.